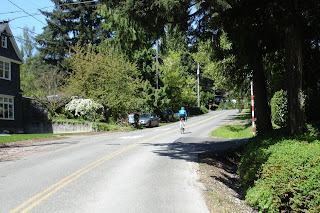 On Saturday I completed a minimal loop of Lake Washington, going counterclockwise. The distance was around 49mi / 78km in beautiful spring conditions. I was expecting Renton to be industrial and unpleasant, but the route around the municipal airport and parallel to the I-405 was lovely.